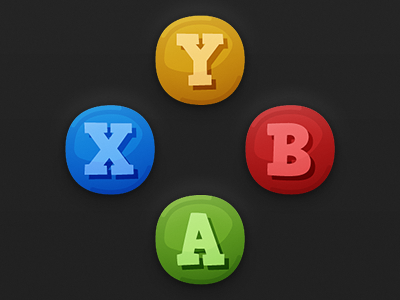 Cartoony Xbox 360 buttons I made for my game project. I use them as a ui hints for a player. I'm gonna make similar buttons for Nintendo Switch, Xbox One, PS4 and keyboard to have a matching and cosistent set in entire project.